Since January 2010, Jean-Marc Nicaud leads the BIMLip team (Biologie Intégrative du métabolisme lipidique microbien) at the institute MICALIS (INRA-AgroParisTech, UMR1319 at Jouy-en-Josas) headed by Stéphane Aymerich. He is "Directeur de Recherche" at CNRS. 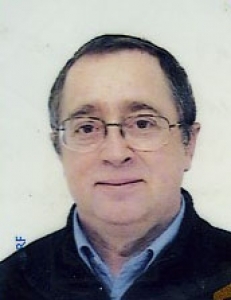 Jean-Marc Nicaud has a "Thèse d'état" from University of Compiègne, (1986) and a PhD in Genetics from University of Compiègne, Compiègne (1983). He spent 2 years (1984-1986) as a post-doctoral fellow at the University Leicester (UK) on bacteria secretion in Barry Holland group. In April 1986, he joins the "Laboratoire de Génétique des Microorganismes” headed by Henry Heslot, working on yeast secretion. In 1988, he was recruited as "Chargé de Recherche" by the CNRS to work at Institut National Agronomique Paris Grignon (INA-PG) in H. Heslot/Claude Gaillardin laboratory. After a one year sabbatical in industry at EUROLYSINE (1992-1993), he developed his team on genomic (S. cerevisiae sequencing and functional analysis) and on hydrophobic substrates metabolism at INAPG, Thiverval-Grignon. he was promoted "Directeur de Recherche" at CNRS in 2001. Since 2010, he is the team leader of the BIMLip group (Integrative Biology of Microbial Lipid Metabolism) at the MICALIS institute, Jouy-en-Josas. He has more than 100 peer reviewed publications, h factor=28 and 12 patents. - Beopoulos A, Cescut J, Haddouche R, Uribelarrea JL, Molina-Jouve C, Nicaud JM. (2009) Yarrowia lipolytica as a model for bio-oil production. Prog Lipid Res. 48:375-387. - Desfougères T., Haddouche R., Fudalej F., Neuvéglise C and J-M Nicaud. (2010) SOA genes encode proteins controlling lipase expression in response to triacylglycerol utilisation in the yeast Yarrowia lipolytica. FEMS Yeast Res 10: 93-103. INRA, UMR1319, MICALIS, Domaine de Vilvert, F-78352 Jouy-en-Josas, France.